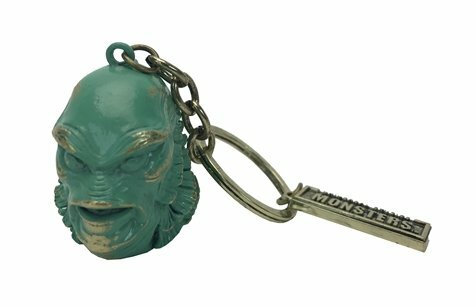 Creature From The Black Lagoon Keychain AMAZING! I actually have the creature keychain and I cannot express how amazing these are. Well made and heavyweight metal. AMAZING and worth every penny! BUY THESE! Its about the size of a Mego head! Re: Creature From The Black Lagoon Keychain AMAZING! I guess these are licensed. Only seen Creach and Frank so far. That Creature keychain/head is super cool. Yes, they are fully licensed. Factory doesn't do knock offs.